Flicking through the International New York Times on a recent trans continental flight, I sourced an article on Lena Dunham in light of her soon to be released book. In Girls, Dunham's character Hannah was one that I took a while to warm to, but when I did it was due to coming to realise her unapologetic ways which wade far from the norms we have come to accustomed to from television shows. It's clear that the construction of her character is a form of Dunham's self liberation as a young woman, as to quote the article "the combination of extreme self-reference and extreme lack of vanity feels almost like a supernatural power." There is one scene that I remember vividly, where in the midst of a sporadic affair with a man played by actor Patrick Wilson they are filmed for a good minute and a half playing table tennis shirtless. The irony is that Dunham received much backlash for the dubbed "unrealistic" portrayal- claiming that someone as attractive as Wilson would never in reality have an whirlwind affair with Dunham. Through Girls, she makes us question our embedded norms, and here she can be compared to Woody Allen in the way in which her work is guided by her own person, rather roving and undisciplined at times. And to quote the article once more "[Dunham] has the exceedingly rare ability to be 100 percent herself, 100 percent of the time...and it's entirely possible that she’s an icon precisely because she doesn’t speak for anyone else." 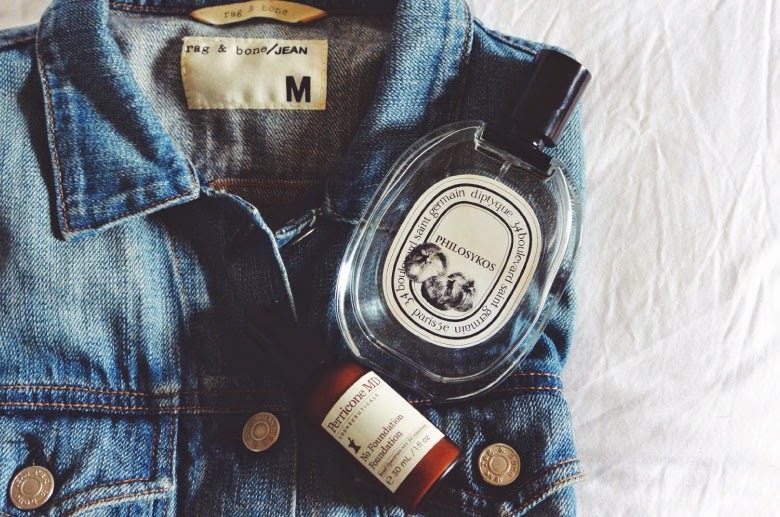 a. Rag & Bone "jean jacket"
c. Perricone MD "no foundation foundation"